Notice that the "I" in different paragraphs may actually be different persons, as the document contains contributions by several people (as listed there). It isn't final, either - there are still further things that need to be added. EDIT: Haha, someone took a bite out of the flower..
What about the list Big Red provided here? Ah sorry I'll check that out later, I have to run for work - but I've just made this update for CBackdrop objects. Not sure how this class is used. A few levels have this, but they contain no other values, just "string Class = "CBackdrop"". Initialized as standard instance (may have different function in-game). 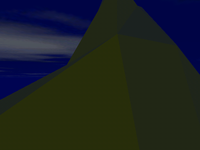 Used in original levels to represent Mt. 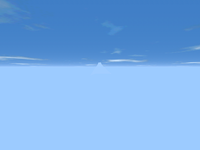 Watson from great distances, either when terrain is too distant to be rendered or does not extend far enough to have it included. CBackdrop is excluded from the normal render-distance restriction for visible models in Trespasser, where the mesh begins to disappear at a certain range, and as such will be viewable in full quality across any ingame distance. CBackdrop is also excluded from Occlusion objects. In the original levels, the CBackdrop always takes on the color of the level's fog setting. New CBackdrop objects are colored black when within a certain viewing distance, for uknown reasons. They can sometimes take on the level's fog color when far enough away. CBackdrop objects cannot use textures, however if one is textured, it will take on an average color of the texture rather than black in the afore mentioned circumstances. CBackdrop meshes copied in TresEd from other CBackdrop meshes can appear as gray-textureless rather than black unless reimported, suggesting lighting settings used by GeomAdd are required for CBackdrop to work properly and would also be why new CBackdrop objects do not work like those in the original levels. No original instances contain other values, just "string Class = "CBackdrop"". Initialized as standard instance (may have different function in-game). WARNING: Unknown value 'Pathfinding' found in "$AnneBody". WARNING: Unknown value 'Subdivision' found in "Trig_SLStart_Sky-00". WARNING: Unknown value 'RestoringForce' found in "MFloodgateDoor-00". Hmmm, it's quite strange. Values not known by Big Red? How would that have happened? the right ones would be "Pathfind", "SubDivision" and "RestoreStrength", IIRC. Well, I've decided to go through the new T-Script reference in chunks, a bit like you do with the TPA decoding. Here is my analysis for the latest chunk I've read today. Pretty much like a CInstance, but has a "string Target" value, which is the object it is attached to. Beware, if it's tangible and it's colliding with the "parent" object, it will attempt to "free" itself. Hmmmm, interesting, machf do you know of instances when this freeing happened? Ripples happen on water entities when objects collide with it. See also CWaterDisturbance. float ResolutionRatio 1.0 Optional. One original level has this as 2.0, the others do not specify it. Dunno if you want to mention this or not, but the accepted range seems to be 0.0 to 2.0 - TC Isle uses 0.5 on a number of occasions, I think to ease up rendering.. it alters the scale of ripples on the water. See JPDS~testing for examples. float ResolutionRatio 1.0 Optional. One original level has this as 2.0, the others do not specify it. Range is 0.0 to 2.0? Specifies scales of ripples on water. string SoundMaterial none Optional. For the few original levels that have this, it is "Water". Actually, SoundMaterial has no effect on CEntityWater, even while it was assigned to one or two of them in the retail (or it might have just been demo, not sure). Seems to have been for an older build of the engine, 'cause as much as I try, CEntityWatter objects will not use any other sound, not even the other water sounds. Also, "Water" as a sound material doesn't seem to work for any other objects..
See a level for examples..
string Sample = "GUN - AK47 SHOT"
string RingSample = "GUN - AK47 REL"
string EmptyClipSample = "GUN - AUTOMATIC DRYFIRE 01"
Not the most organized entry.. could suffice but, I'd say this could stand to be better documented. For example, listing what values are needed and what aren't. I could give a detailed description later. Also - as far as I can tell, it accepts all CInstance values, so that should be mentioned. Haven't tested all of them, of course, like AlwaysFace.. that would be interesting..
General object in world. See also the trigger actions "CAnimateTextureAction", "CSetPhysicsAction", and "CSubstituteMeshAction". bool AI If true and a dino has ActGetOut=true, the dino won't go into this bounding volume. I think the default value of AI is true if object is Visible, and false if it has Visible=false. This is good about AI, but it's not just a question of not going into - certain tangible objects also have an AI true/false value; it basically states whether the object's existance and dimentions are used by an AI when it calculates its movements and actions through the world space. Dunno how or if this should be mentioned..
Herbivor food/plant matter seems to be missing from this list.. I'm guessing it's 1 but don't go by that. I think Rebel or Remdul had a diffinitive answer on AI types..
float Height unknown ? Use if Planted=true. string Mesh none Use mesh of given object instead of own mesh. string Physics none Use physics objects of given object instead of own ones. string SoundMaterial none Used by CCollisionTrigger. May also be name of sound from "Effects.tpa", but doesn't have to be. float Damage 0.0 Base value for calculating damage caused by an object to Anne or CAnimals in collisions. bool Planted false Stretches the vertices of a mesh between the lowest boundry and the specified Height value onto the terrain. Will cause rendering anomolies when part of the mesh lies underground. 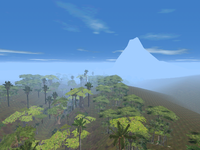 Used for certain tree models in original levels. float Height ? See Planted. bool Merge true Unused value; used for Max importing scripts? bool Split true Unused value; used for Max importing scripts? bool Wrap true Unused value; used for Max importing scripts? string Physics none Use physics of given object instead of its own. string SoundMaterial none Name of material located in the foley table of "Effects.tpa" (does not need to exist). Also used by CCollisionTrigger. int AlphaChannel none 0,1,8 in original levels. Make object transparent. Used by LightBeam in testscene, and also by many triggers. int AlphaChannel none 0,1,8 in original levels. Makes object transparent, where 0 means invisible, 1 gives 50% transparent white, and values above 1 (unknown limit) give increasing degrees of transparency. Used by LightBeam in testscene; many original triggers assign as 0 but value isn't needed. bool Curved false ? Ignored? float Bumpiness unknown Degree of expession for bump (normal) maps. bool Curved false Used for calculating smoothness of shading on meshes; used in original levels for CAnimals. bool CacheIntersecting false ? Can be used to prevent certain water ripple anomolies in hardware mode. If you mean the retail levels, there aren't any, but try it yourself - I saw it happen first when I attached wheels to a vehicle and made them tangible (you shouldn't stay near that car, really), and also when I attached the bumper similarly. Not the most organized entry.. could suffice but, I'd say this could stand to be better documented. Oh, it definitely does need more details... I just quickly pasted the t-script of the first gun I could see as a last-minute addition to remember to add the info later... the original just had that "See a level for examples" note. For example, listing what values are needed and what aren't. I could give a detailed description later. Also - as far as I can tell, it accepts all CInstance values, so that should be mentioned. Haven't tested all of them, of course, like AlwaysFace.. that would be interesting.. The thing is, there are some 16 possible values, I think from 0 to 15, each corresponding to a preset combination of R, G, B and Alpha values. I think the "Settings" class is the one that allows to change the default values in some way. It needs a bit more research. You just need one Settings object to define each AlphaChannel's properties, apparently. Ah! Sweet! Many new possible uses for this now..
K looking good, I'll go through more when I have time. Eh? I'll still test that out myself.. but yeah that would pretty much bring it back to square one, lol. Nope I browsed through the revisions and saw that. I'm sure that'll take a bit of time. Well, I've uploaded an updated version with brief descriptions of the dinosaur emotions and activities, but as I said, there's still lots to be added, I'll keep working on it.